People use their mobile phones for so many different tasks and responsibilities. From conducting business with an individual or an organization to keeping up with their closest family members and friends, these devices have become a staple in many environments today. New phones are popping up and people change phones frequently. Then, how to transfer data from Nokia to Android becomes a tough nut for those who have switched from a Symbian Nokia to a new Android device. To sync Symbian Nokia to Android, you can draw support from the Coolmuster Mobile Transfer. 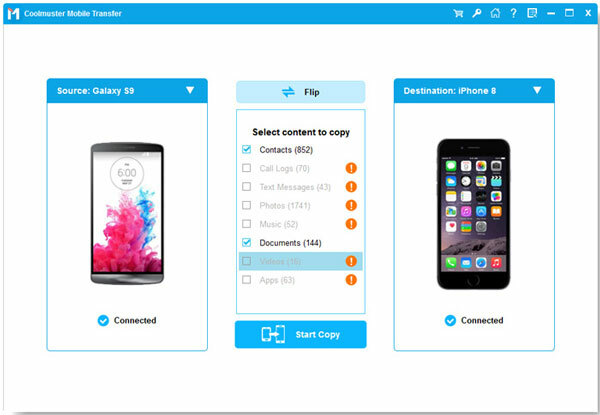 It features with the professional ability to transfer files, including contacts, photos, videos, music and moer from Nokia to all types of Android devices, such as Samsung, HTC, LG, Sony, Motorola, etc. It also supports iOS devices like iPhone, iPad and iPod. This Nokia to Android Transfer also enables you to backup and restore phone data on PC or Mac. The tutorial in the below will guide you through the process of syncing data from Symbian Nokia to Android with the help of this recommended Nokia to Android transfer tool. Just follow us! How to Copy Symbian Nokia Files to Android Phones? First of all, download and install the Nokia to Android transfer program on your computer. Run it and use two USB cables to connect your Nokia and Android phones to the computer. You can see four different options displayed here. Just choose "Phone to Phone Transfer" to enter the phone to phone transferring window. Then, the program detects the two phones and display them on the interface side by side. Now, you should select the files you want to transfer by ticking them off. 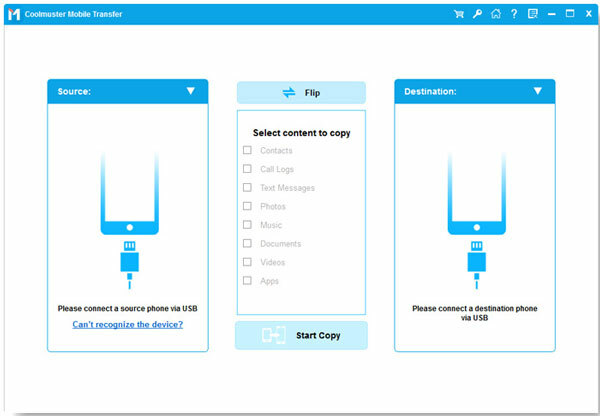 Then, click the arrow in the middle, which is pointing to the Android phone, to begin the transfer process.